Motorola Droid on Verizon Wireless in US doesn’t support multitouch functionality in most apps even though the hardware is fully capable of running it. This is probably due to the US iPhone patents as the upcoming Google Nexus One phone will also have no multitouch functionality in browser and Maps app. 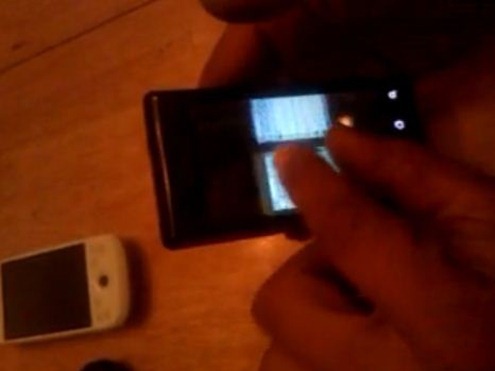 The European version of Motorola Droid, called Motorola Milestone is fully capable of pinch to zoom and tap functionality just like the iPhone is. The good news is that folks over at AllDroid have managed to extract and port the Android ROM from Motorola Milestone to Droid. This port brings all the multitouch goodness like pinch to zoom and tap functionality to the web browser, pictures and Google Maps app from Motorola Milestone, to the Droid on Verizon. You can see it in the action in the video embedded below. This ROM is based on the original stock Android 2.0 ROM which ships with the Motorola Milestone. According to this update video posted by the ROM Modder, the alpha version of the ROM should be out in a few hours from now. We will update you as soon as it is available for testing. UPDATE 1: Alpha version of Motorola Milestone ROM for Droid is now available for download. Full installation instructions, along with download details can be found here. If any one wants to try let me know, you got to have some ADB knowledge or Linux/Command Line history. Works great, why Moto left this out boggles my mind. Some random bugs and GPS is not functional, it's an Alpha. I love where there going with this!